Label Side A: Thanks to Brian Bacchus, Ricky Morrison, Trevor Wyatt, Gavin Wright. Label Side B: More thanks to DJ Hit And Run & Leigh Taylor. 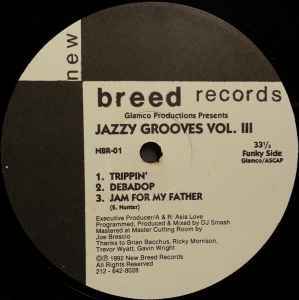 © ℗ 1992 New Breed Records. All rights reserved.